Several pharma companies have joined forces with multinational businesses from other sectors to call for the development of a global action plan to prevent and treat Alzheimer's disease by 2025. 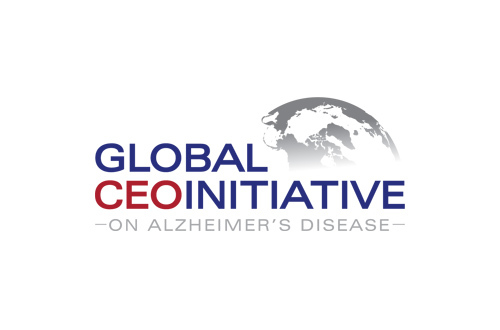 Founder members of the Global CEO Initiative on Alzheimer's Disease (CEOi) include AC Immune, Lilly, Janssen, Merck & Co, Pfizer, Sanofi and GE Healthcare, who will partner with other organisations, such as Nestle Health Science and Bank of America Merrill Lynch, to help address the “unprecedented global health, societal and fiscal threat” of the neurological condition. The CEOi made its appeal last week at the joint conference of the Irish Council Presidency and the European Parliament, where its convener George Vradenburg of the non-profit US Against Alzheimer's explained the need for a strong partnership between the private and public to support the plan. “Even as governments are stepping up to address this global challenge, political leaders have recognised that collaboration with industry plays a critical role in bringing more time, attention, investment and commitment to stop the crippling consequences of this exploding health and economic burden,” he said. “As our society ages, there is no greater need than a comprehensive and collaborative response to Alzheimer's disease,” he added, alluding to global increase in elderly population and the related increased incidence of chronic conditions, such as Alzheimer's. The CEOi said the Action Plan should be developed with “specific, milestone-driven actions”, and should include strategies on how to reduce the time, cost and risk associated with developing therapies for Alzheimer's. In addition, the CEOi outlined three other goals, including the development of a comprehensive global Alzheimer's research agenda, covering both basic and translational research. On top of this, the CEOi aims to effectively articulate the economic need to address Alzheimer's and to increase public awareness of the benefits of a public commitment to prevent and treat Alzheimer's disease. Andrea Pfeifer, CEO of AC Immune, described the formation of CEOi as a “very important step” in the battle against Alzheimer's disease. This was backed by Sanofi's CEO Chris Viehbacher, who commented on the need for governments to support the CEOi.